Today I stumbled onto a batch of photos from a few years ago. Here, my stepson Casey and I are snowshoeing along the popular White River below the magnificent Mount Hood. I recommend cross country skis to make the return trip faster and more fun. You can go miles up the canyon before the terrain gets tough, and it’s mostly wide open. Sadly, there isn’t that much snow this year. Perhaps I shall return when more snow comes. 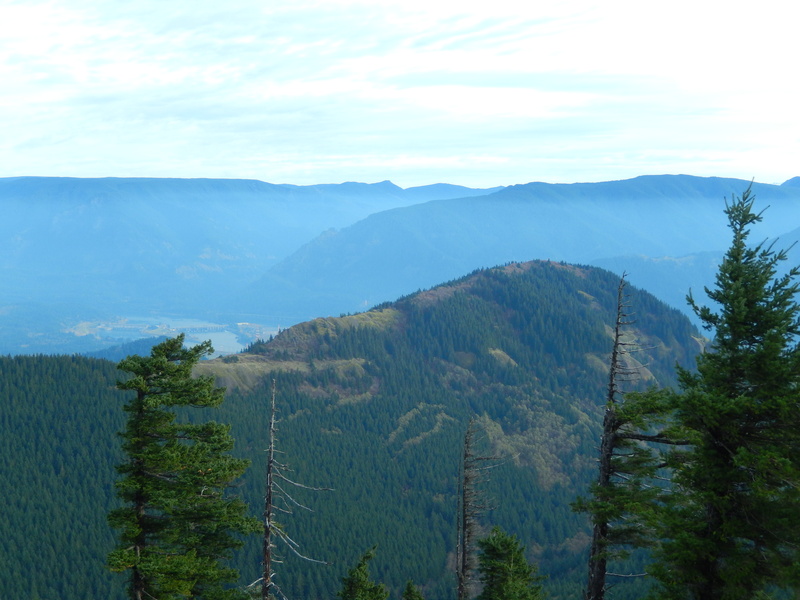 I might make some Oregonians mad, or they might think I am mad in a different sense of the word when I say that the Washington side of the Columbia Gorge is better for hiking. Of course, that’s coming from the perspective of someone who craves heights and dramatic views. I actually like both sides. 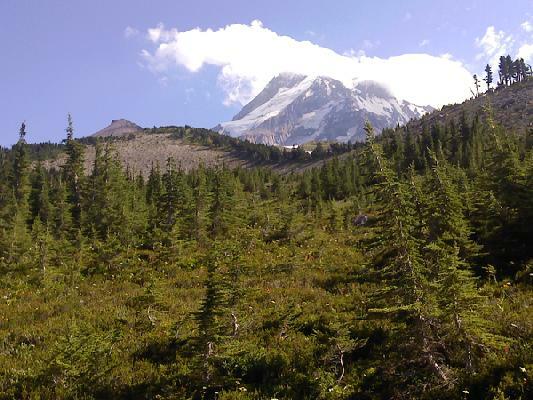 The waterfalls on the Oregon side are great, and the greenery can be stunning, but if you like views and rugged terrain, head to the Washington side. Consider Dog Mountain, Wind Mountain, or Hamilton Mountain. That was my thought process when I climbed Hardy Ridge yesterday. 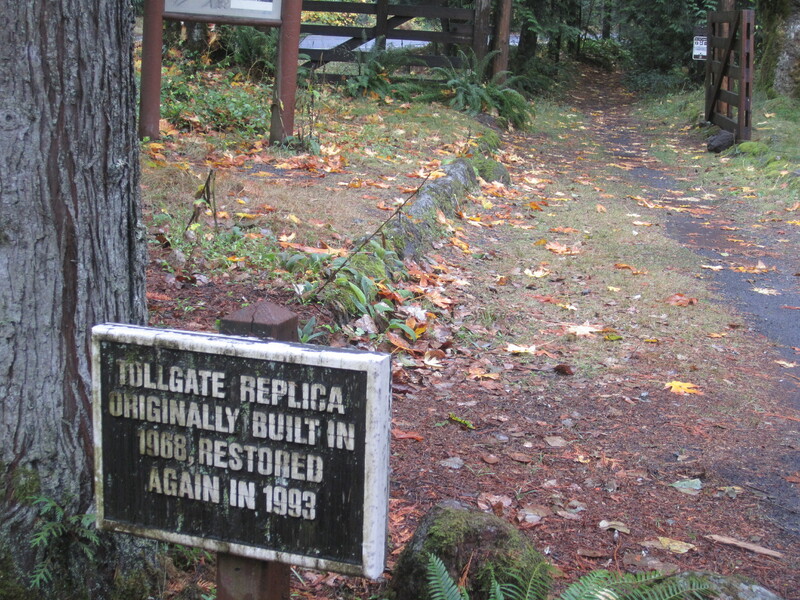 The parking lot known as the equestrian trailhead in Beacon Rock State Park is a mile or so off the highway. The trail is really an old road blocked off by a gate, so the walking is easy. There are various junctions, but all are well signed. It is possible to start from here and go east to Hamilton Mountain. Perhaps another day. I opt to continue with the Hardy Ridge Loop. I had recommendations to go both directions, but I went counter clockwise, and that worked out well. After an hour the road peters out, and from there it is but ten or fifteen minutes to the open ridge crest. I pause for an energy bar and a few pics. The day is cool, but I am a heat machine, so I am tad sweaty. Keeping a good temperature is always tricky for me. I use a bandana to dry off the back of my head and neck so I don’t get chilled on the breezy ridge. An unofficial trail heads north on the ridge for three quarters of a mile. It is easy to follow if fairly rugged in a couple spots. After the first seven or eight minutes, the views are constantly with you. Life is good. 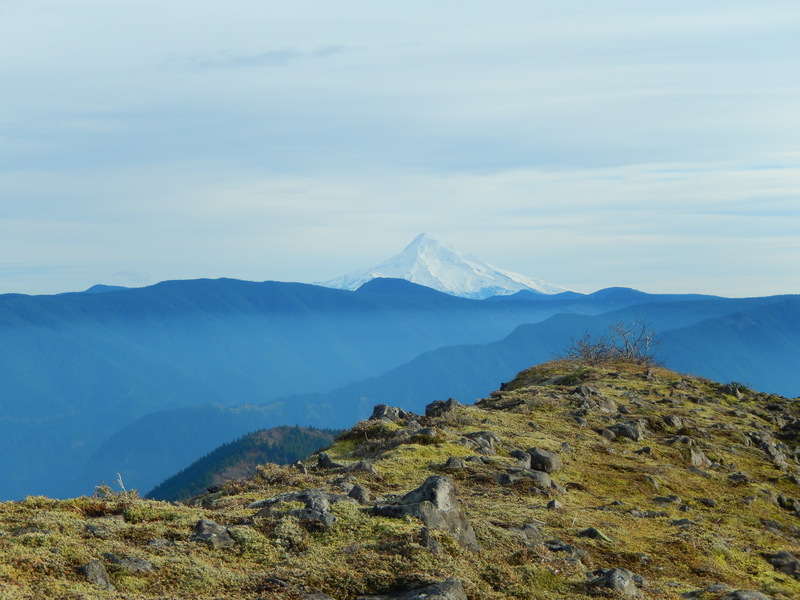 The maw of the gorge is below, a snowy Mount Hood peeking over the peaks of the Columbia Wilderness. To the east, Hamilton Mountain looks surprisingly small. Even Table Mountain looks relatively modest. I have climbed higher than I thought. Looking down at Hamilton Mountain. Benson Plateau behind it to the left. 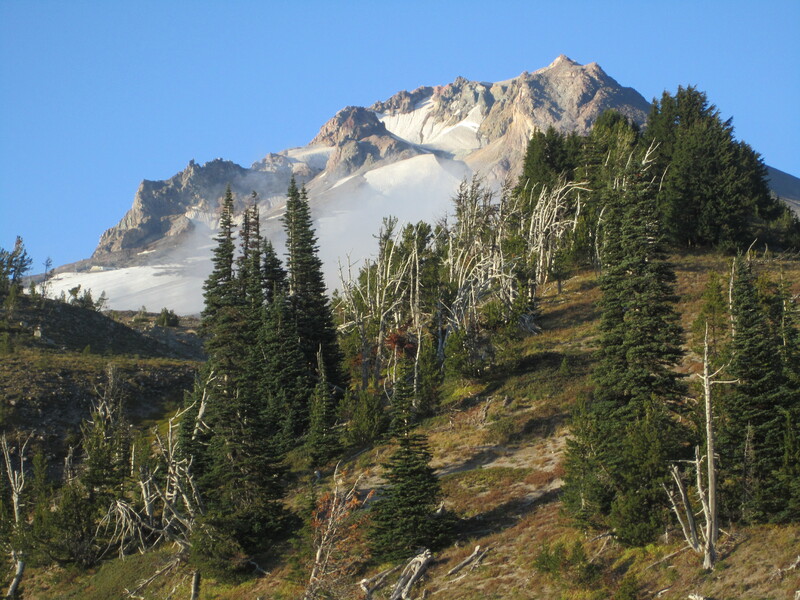 The ridge alternates mossy areas with brush, stands of trees, and rocky patches. Fending off some tight brushy spots reminded me a little of a minor epic bushwhack on Signal Buttes a few years ago. Hardy Ridge is definitely easier, and I would not consider it off trail hiking. It’s a lot more accessible, too, but the open ridge feels similar. I hung out on top for a long time soaking in the views, contemplating my quiet life in a loud world. Another person sat a hundred yards past me, seemingly meditating. Nice spot for it. The herd path appears to keep going to a lower east west ridge to the north. I envision a more difficult hike, linking this ridge to Table Mountain or Hamilton Mountain. Hmm. 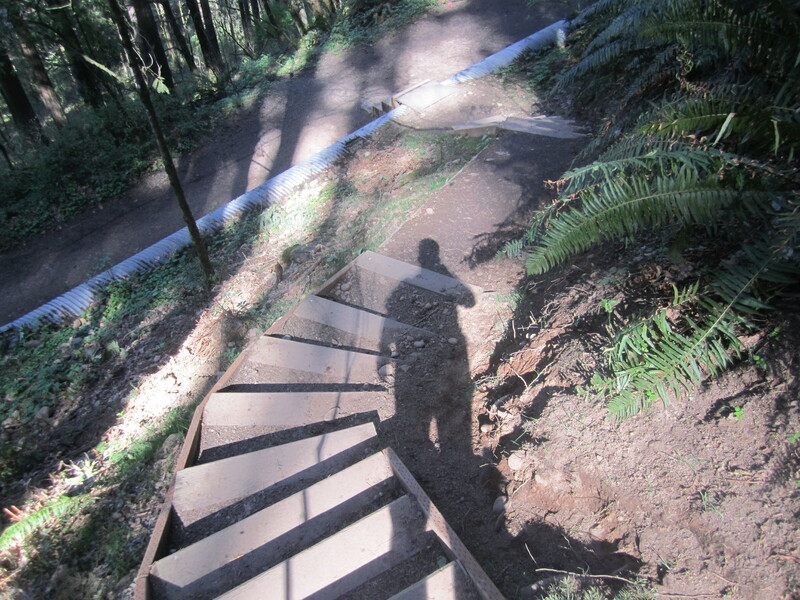 My descent is uneventful apart from one steep section on the west side trail where I slipped. My round trip, including a least a half hour slounging on top, took four hours. My legs are bit stiff from walking non-stop on the way back. Once again, the Washington side of the Gorge again satisfied my need to get out and stretch my legs. 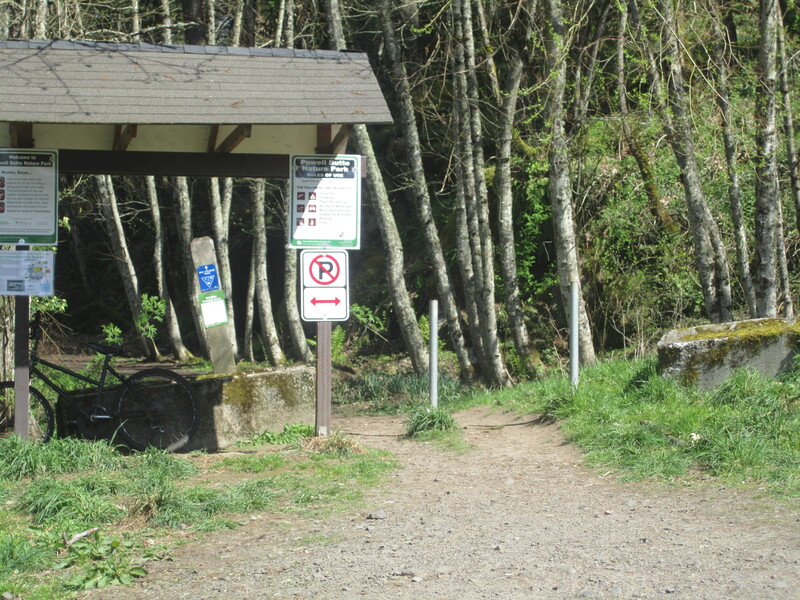 The Sandy River trail connects two popular recreational spots on the west side of Mount Hood: Riley Horse Camp and the Ramona Falls trailhead. The trail cuts through a forest that has unique soil due to a volcanic eruption on Hood just prior to Lewis and Clark’s passage nearby on the Columbia River. 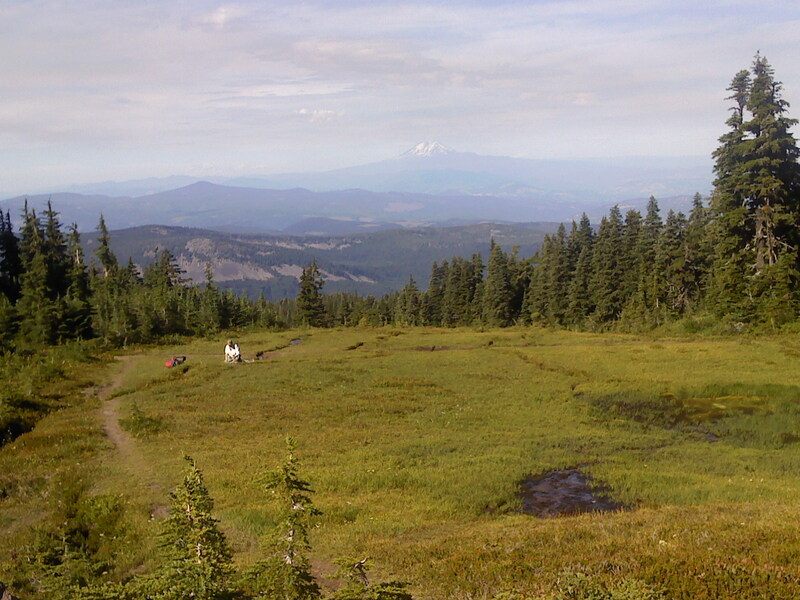 People scavenge for mushroom, camp, ride horses, and hike as much as they like in this section of the Mount Hood National Forest. Solitude is a rare quality here. Yet I find that it is possible with a little off trail travel in the relatively flat environment below the Ramona Falls trailhead. After dealing with a pseudo retirement party Friday night, we spent Saturday doing paperwork and visiting a friend who is fighting cancer with a powerful will. I have no doubt she will win. Afterward, a serene trip to the woods was in order. 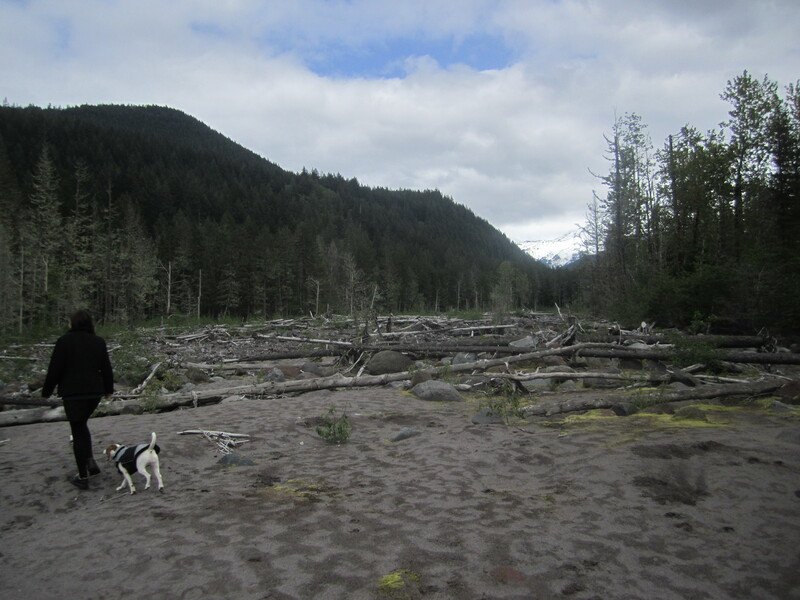 The Sandy River Trail cuts across the main access road at one point, and we parked nearby. The walking is casual, the ash and mudflow soil apparent at various points where it is very soft and gets rutted easily in heavy rains. Our destination was a stretch of open riverbed not far from the trail. Multiple channels cut through rocks and sand, the water too high for us to channel hop. There were glimmers of sun as we enjoyed the noisy company of the Sandy River and a view of the lower stretches of Mount Hood. We threw sticks for Jackie, soaked in the natural environment, and came away feeling rejuvenated. Bigger trips are soon to come with summer weather. This was a nice stopgap stroll. For now, back to the city, work, and life. Yours truly with the best dog in the world. Life has been hectic, and I haven’t been hiking or posting as much as I’d like. After a few weeks of nice weather, and good timing, luck ran out. The end of the school year is always a tad goofy, and family visiting to celebrate a graduation made our days completely filled for a week or so. The weather is now entirely disagreeable for outdoor adventures. So I think once again of small recent outdoor moments to savor, but I also must dream big. 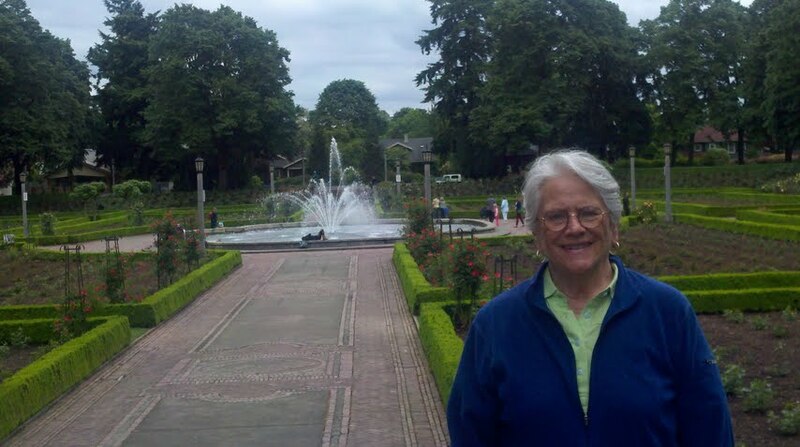 I greatly admire my fellow blogger Lesley Carter and her dedication to an annual bucket list. I’m not quite sure how she pulls it off, but there’s no time like the present to set my own goals and try to follow suit. Climb Mount Rainier. 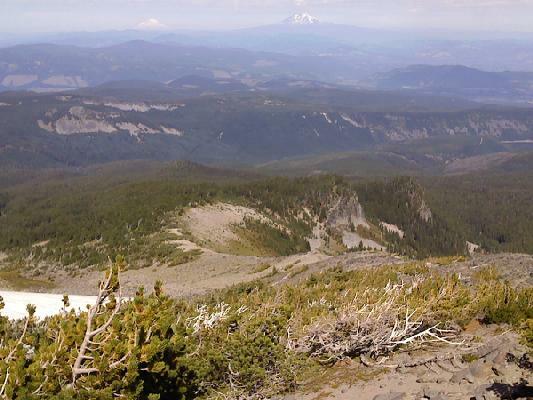 I’ve climbed Mount Hood eight times, but its not the same. I first attempted Rainier as a teenager, but got sick and wimped out. The next year I was in great shape and raring to go, but our group was slow and it was warm. We didn’t trust the snow bridges on the glacier and we turned back. 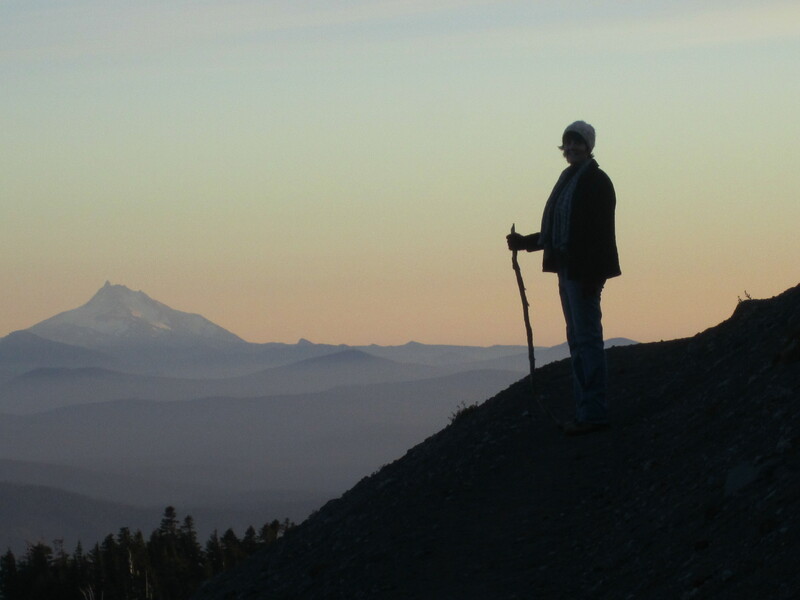 Hike a long section of the Pacific Crest Trail. I probably first set foot on the PCT when I was 12 or 13, but I have never hiked a long distance on it. I ready Eric Ryback’s book about it when I was in high school. It’s about time I did my own trip. Raft the Grand Canyon with my family. Whitewater is something I’ve always loved but have rarely indulged in recent years. Next summer, Mom! 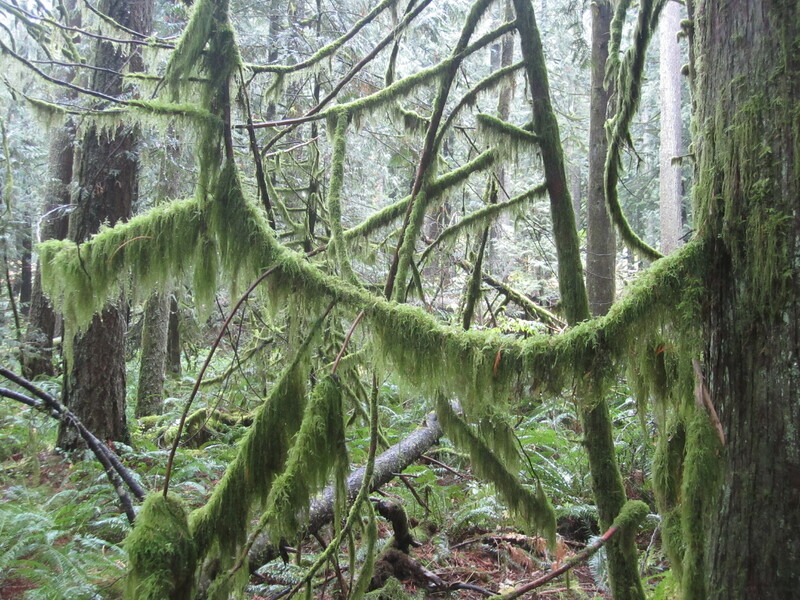 Hike the entire Wildwood Trail. 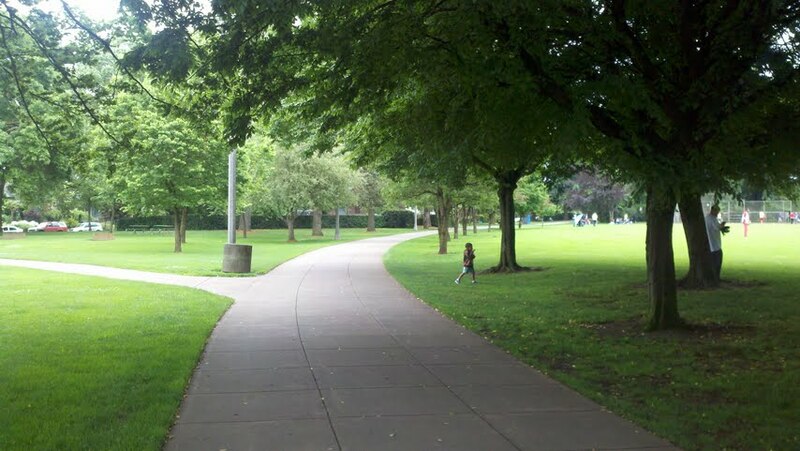 This trail in Portland’s Forest Park is dozens of wooded miles long. It’s another path I’ve hiked on since I was very young, but it’s about time I link all the sections. Revive my harmonica skills. This is the ultimate musical instrument for hiking trips, since it’s pocket sized. It’s time to really learn those scales and play more advanced tunes than “You Are My Sunshine” or a butchered “Scotland the Brave”. Completing Cycle Oregon. I once thought about riding across the nation, but this seems a bit more feasible. Building my blog. A vague goal, to be sure, but it would be nice if the energy I invest here reached a more sizable audience. Tell your friends! I have other ideas for mountains to climb and sacred spots to visit and skills to learn, but that’s a nice start. If readers have list worthy ideas, drop me a line. Western Oregon weather has been fabulous lately and I’m excited to really get after some adventure this summer. 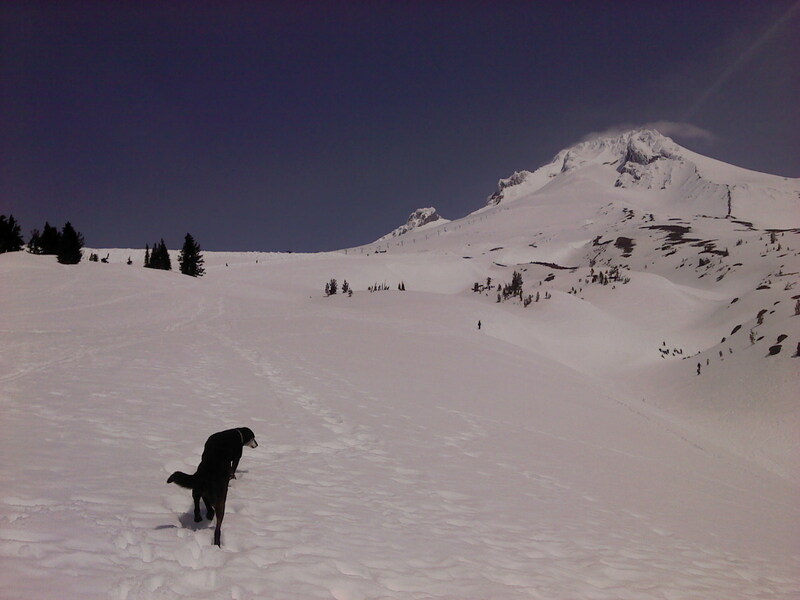 I found a couple photos from one of hundreds of trips to Mount Hood we took with our old pup Nikko (see Thanks for the Memories: A Dog’s Life). South toward Mount Jefferson at dusk. While I love the Wallowas and the Front Range, the Bitterroots and the Adirondacks, there is no single mountain I know that rivals Mount Hood in my heart. It is approachable yet daunting, beautiful yet rugged, inspiring yet backbreaking, fun yet dangerous to the unprepared. If Nikko were still around, he would probably be whining for a good hike. I’m thinking Yocum Ridge. Summer is coming. Let’s do this! On a recent sunny day, I needed to get out of the house while there was time. 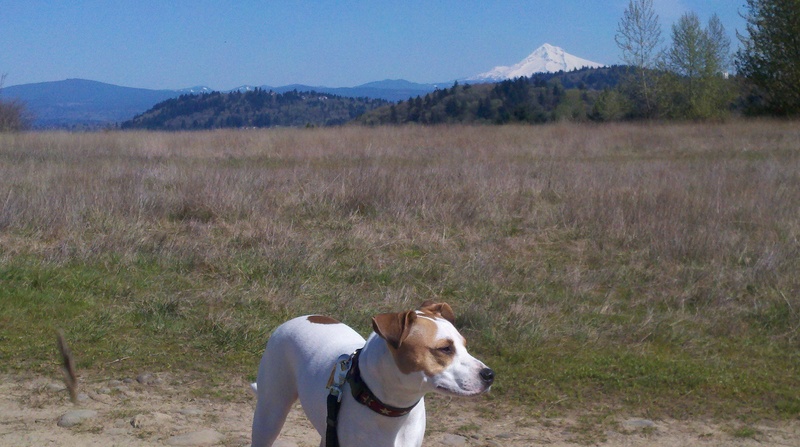 I quickly thought of Powell Butte, an oasis of outdoor recreation on an extinct volcanic cinder cone plopped on the periphery of Southeast Portland. It I been a decade or so since I’d been there. I hopped in my trusty Subaru with the pup and headed over to the spot I recalled as the main trailhead. If I’d done more than two minutes of research, I would have known that a construction project had been underway for months, and the park gate was closed. A massive underground reservoir was being built. But I didn’t do that research. So when I had to continue past the closed gate, I turned into Walter Matthau from Grumpy Old Men like a fool. 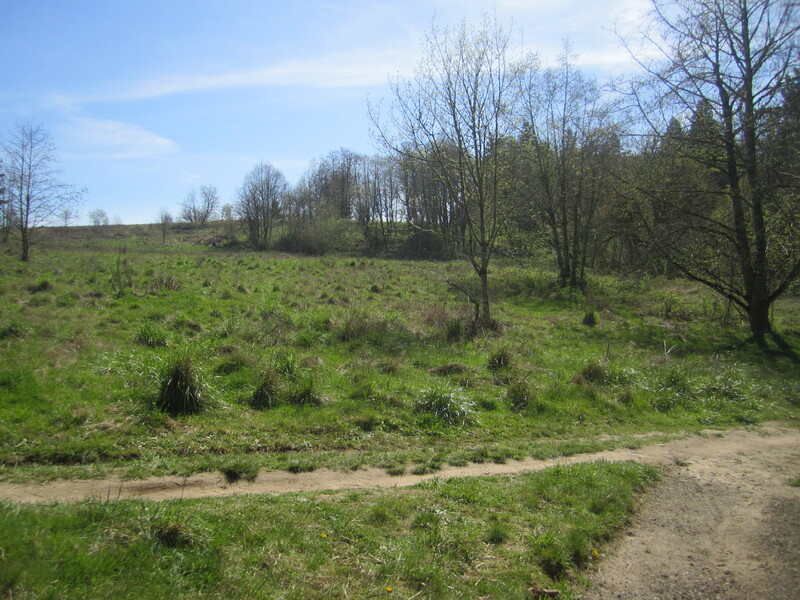 I did find a different access point in ten or fifteen minutes, walking up an old road. It eventually met a side trail that may was a piecemeal connector. It started up a long set of stairs, so I took it. I came into the sunlight alongside a little aqueduct. I could have continued toward the meadow above, but I found another trail leading off into the woods, and I opted for that in hopes of making a decent loop through the forest. So it was as it traversed, then descended for a bit, and finally turned uphill out of a creek valley. It felt unseasonably warm, and I definitely worked up a little sweat. 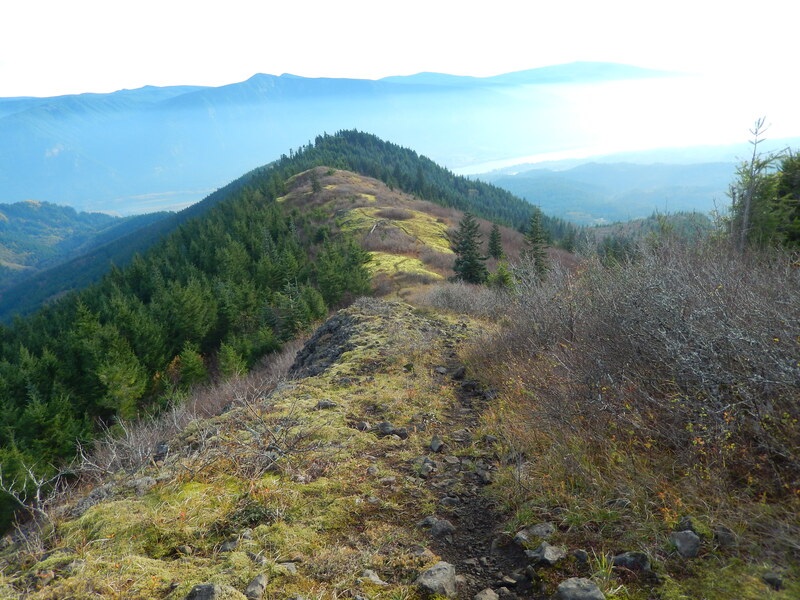 There were no other people for a while, but once I looped back on top of the broad butte and into the open meadow, there were many hikers, runners and bikers. There were even two sets of people on horses. What a day to be outside! 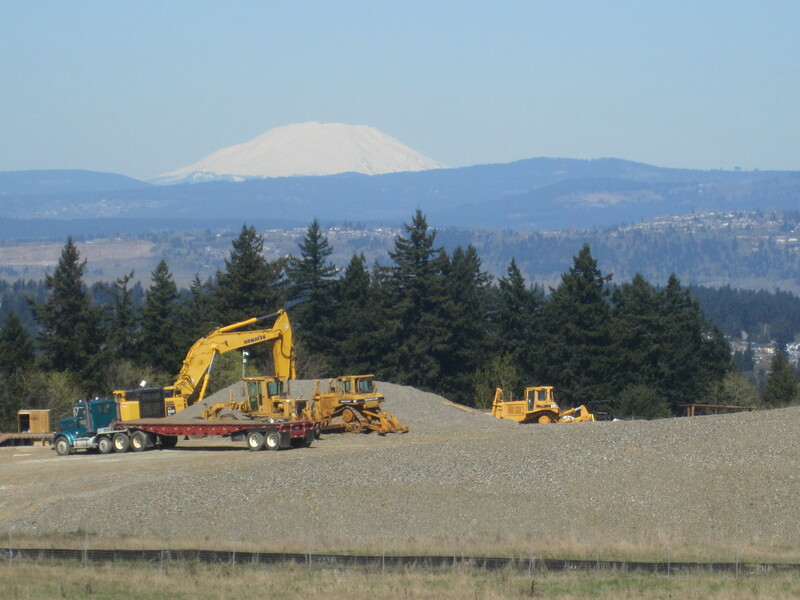 The sun was glorious, and the views of Mounts St. Helens and Hood were terrific. It was even interesting to see the cordoned-off construction area, where there was a giant moraine of dirt. 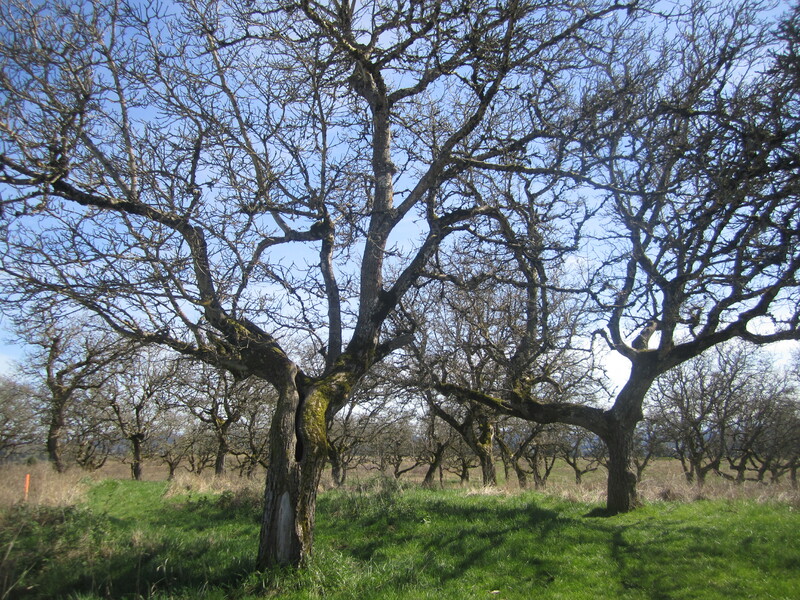 After looping around the Orchard Trail, getting a few photos, I headed back to the car, pleased with my stroll, and I reminded myself that there are many trails here, with miles of walking possible. 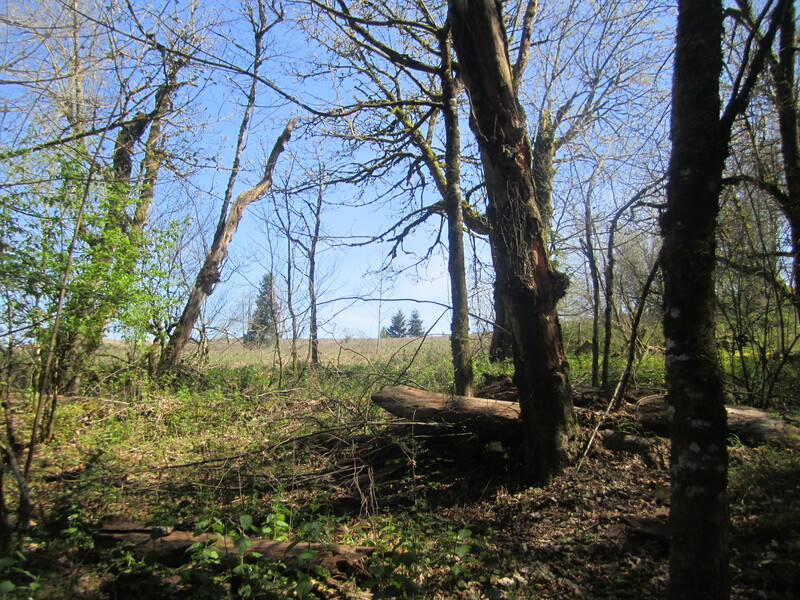 Powell Butte may fall in the shadow of the more famed and larger Forest Park, but this is an underrated gem for urban hiking. I forecast a return trip! P.S. Do your homework on trailheads. 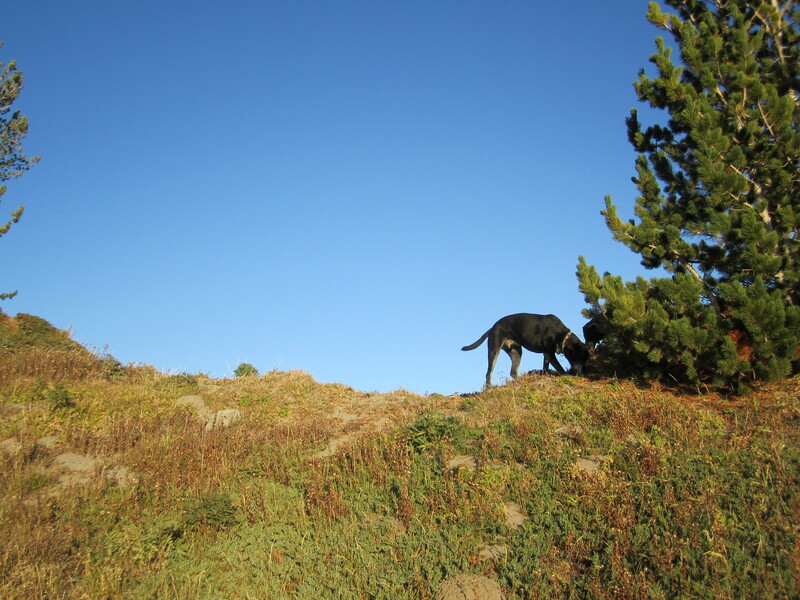 Nikko was rather fearless and foolish, a tireless trail dog and a dining room mooch. He had selective deafness and a tail that wagged almost constantly. He would rest his snout on your lap if you sat on our couch and he was not afraid to steal food if you weren’t looking. 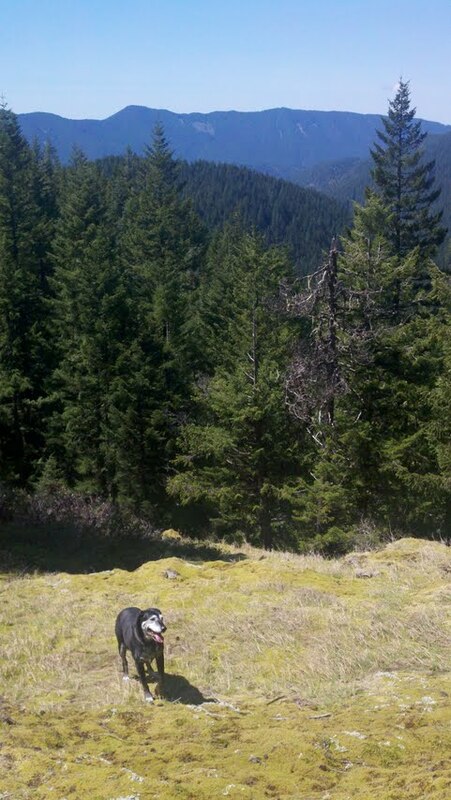 He loved nothing more than racing down trails through the old growth near our old mountain home. If you threw a stick or a tennis ball, he would run all day, but he would rarely bring the item back, and he would never clue in about why I’d get frustrated. Nikko traversed many years and miles with me, and we had a lot of great times together. Nikko was a tiny ball of fur at the pound in Bend, Oregon when we first saw him in 1998. He’d been abandoned in a burlap sack on the side of the road. He was so cute, Denise didn’t have a hard time convincing me to get him. Still, neither of us could have guessed that Nikko would survive so long. He always had an insatiable appetite, as if being abandoned as a pup made him neurotic about his next meal. 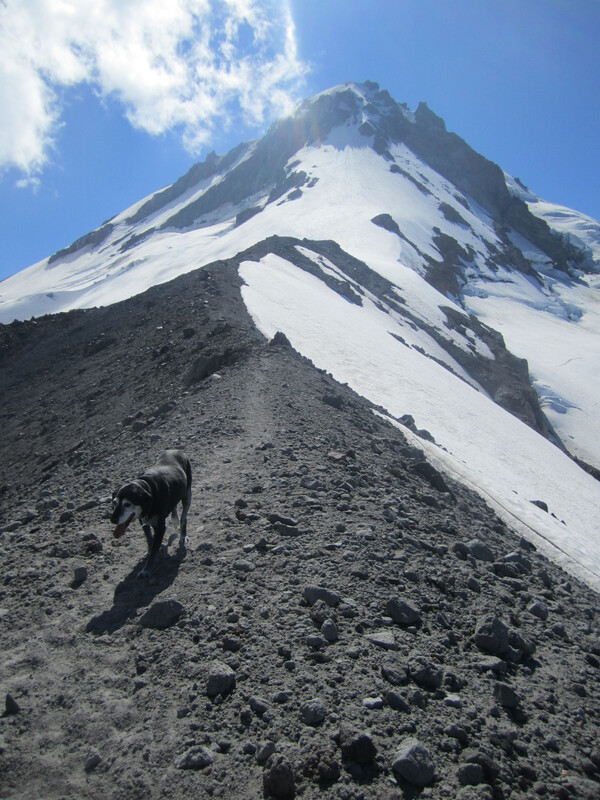 Accordingly, he got chubby for a while, but he still managed to race ahead of me on hikes around Mount Hood. Flag Mountain, Castle Canyon, and the Salmon River were favorite spots. He enjoyed visiting lakes and rivers, although not as much as his sister Rikki did. He liked to cool off, but was rather lazy and tentative about swimming. That’s okay. So am I.
Nikko was always up for a walk or a hike, even a simple release into the green of our backyard. He frequently got antsy in the car when he knew we were headed for a trail, and he had a little pathetic whine that went something like “whoo whoo woo”. While Nikko lived to run, he was also basically content at home. He enthusiastically greeted us when we got home, and besides a puppy’s shoe fetish (including a pair of slippers owned by the late great drummer from Ghana, Obo Addy) he stayed out of too much trouble. Never mind the tubs of leftovers we’d get careless about on the counter. Odd stuff happened with Nikko. A few years ago, he got injured when he walked out the door a little slower than anticipated, and it was slammed shut on his tail. He didn’t need that last inch anyway. Five or six years ago, Denise and I were walking our dogs in the snow at twilight when we passed a bridge washed out by a flood. I just wanted to check it out. We had crossed it many times, but I wanted to see the destruction up close. Nikko followed me, then passed me recklessly, flying straight off the ragged end of the bridge into darkness. He yelped and was silent. The fall was about twenty feet on to a rocky bank. He was actually across the main channel of the river, so without an intact bridge and in the cold darkness, a rescue took some serious ingenuity and a lot of friends. Yet Nikko was fine. Shockingly, nothing was broken. Sure, he started waking up in the middle of the night to pee, but he hiked as hard as ever, and until the past year, he was still a thing of beauty running across a field. 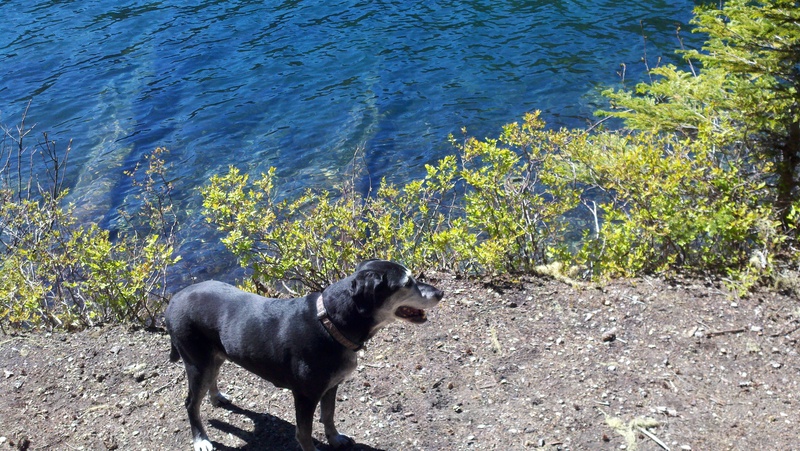 Just last summer, Nikko accompanied me on a great hike up Mount Hood’s Cooper Spur. It wiped him out, and I could see his hiking days were fading, but he kept trying. 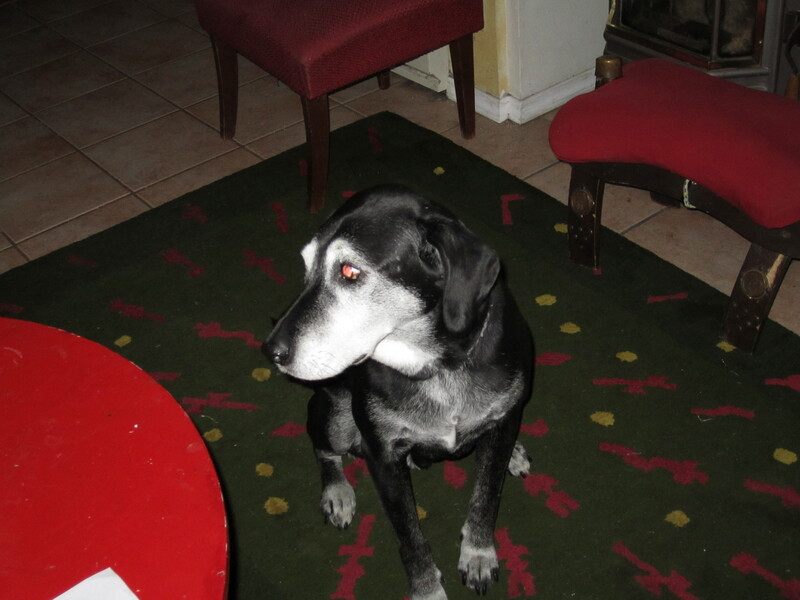 Nikko was a goofy loveable creature who never stopped being a puppy despite his gray face. In some ways, he is a reflection of me. Nikko, aka Nikko Biko Freako, was put to sleep this week, just weeks shy of his fifteenth birthday. We will miss him a great deal. The end point of the Pioneeer Bridle Trail is a replica of a Barlow Road tollgate that was a money maker in the 19th century for Sam Barlow. He built the road and charged five dollars of the hardy pioneers who took wagons on the rugged bypass around Mount Hood rather than deal with the Columbia River Gorge. I like to hike up the trail towards Government Camp. It starts in a small pullout east of the Tollgate Campground, which is a suprisingly lovely spot given that it is right off Highway 26. On a recent hike there, the leaves had finally turned gold and orange for us, weeks after they seemed to hit their peak in New England. 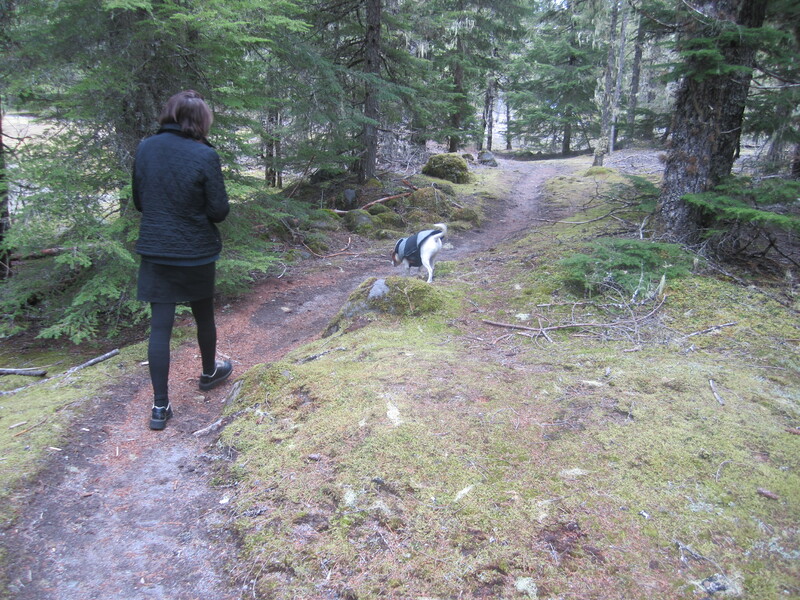 I leash Niko for the first part of the trail. He is getting old and deaf and I don’t trust his judgment near the highway. The trail ascends slightly between the highway and the Zigzag River, going through some wonderful forest with amazing foliage typical of the west side of the Cascades. We cross a few Forest Service roads that access vacation cabins, but there is no traffic, and I only have to be careful for Niko in one or two spots. There are few views, but I still enjoy the trail, as it is easy walking, and usually free of other hikers. At one point, the trail was somewhat popular with downhill mountain bikers. You can descend from Timberline Lodge at 6000 feet through the ski town of Government Camp, all the way to my trailhead at less than 2000 feet. With the more technical Sandy Ridge mountain biking trail system open now near Brightwood, the Bridle Trail may have paled in comparison, but that long descent must still be appealing, and there are stretches once that have a real wilderness feel when the trail crosses to the north side of the highway. 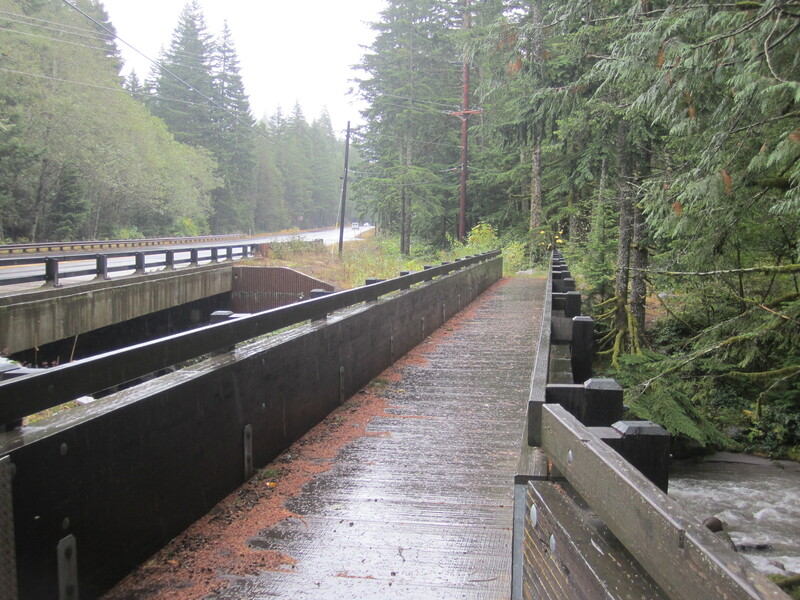 About a mile out of Rhodendron, the trail nears the highway where a pedestrian bridge parallels the highway bridge. I often turn around in this area when I am just out for a jaunt with the dogs. I find it interesting that conifer needles add traction on such a bridge when it is wet, yet seem to detract from traction when it is dry. Any physics explanations, readers? The pedestrian bridge alongside the highway bridge. Wilderness, it is not. 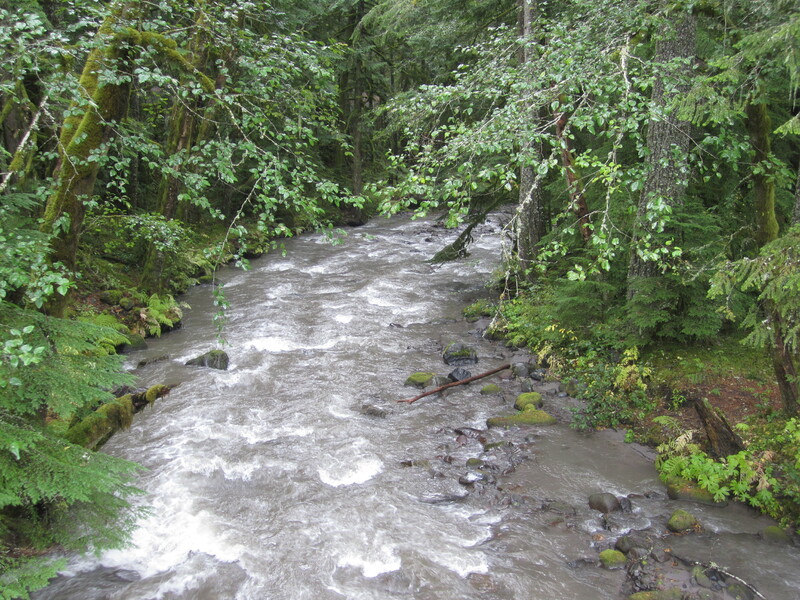 This time, I continue half a mile further, crossing the bridge and meditating on the riffles of the Zigzag River before getting in a groove stretching my legs in the dark forest. The Bridle Trail makes for a nice hour long hike when I can’t justify being away much longer. Paperwork to finish, papers to grade, dishes to wash, and so on. Life. Of course, the trail parallels a major highway, and it never feels like wilderness, but it is a nice respite from the chores of daily life. When I slow down a bit, I always find something unique to admire in the environment. Mist falls intermittently. I head back toward my car and reflect on the history of this route as I walk. Life must have been tough for the pioneers traveling this route in covered wagons. They had already been gone from the midwest for months when they hit Oregon, and surely it was a welcome thought, knowing the last of the big mountains was behind them. It humbles me to walk on such a path, if only for an hour or two. On the homestretch, along a narrowing arm of the lake. 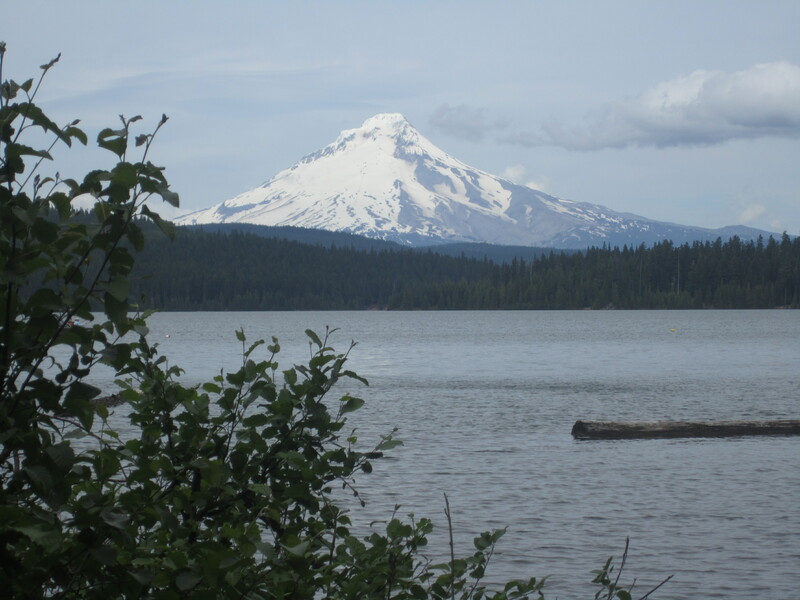 When I was struggling to find time for a real hike for the second week in a row, I noticed a friend’s post on Facebook about Timothy Lake, a large lake southeast of Mount Hood which is a popular camping and boating spot. 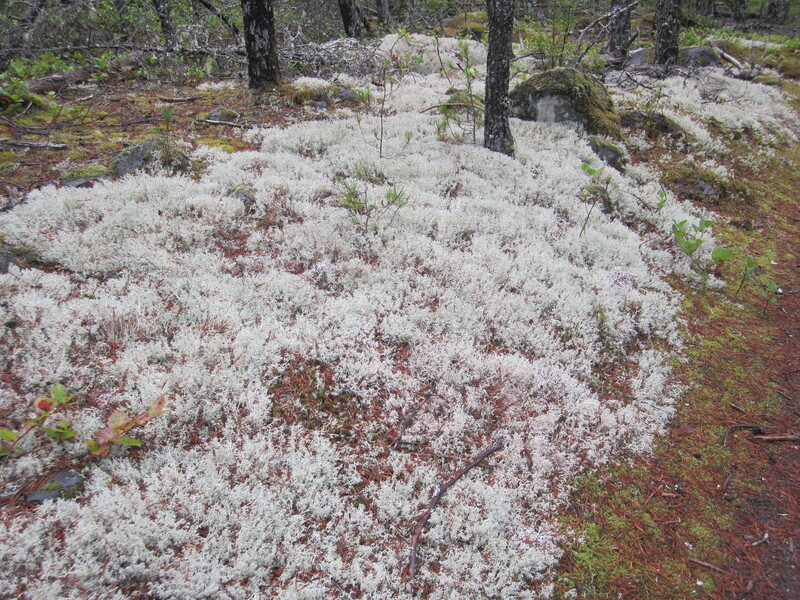 While the weather is really cooling off, and the mountain is again dusted by snow, this could be a good level ground hike. Mount Hood from the trail in the campground area. 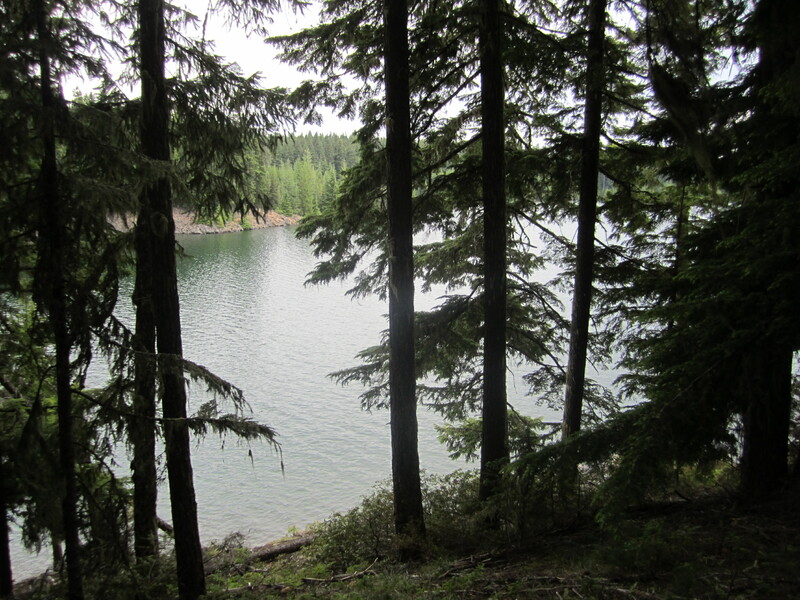 The lake has a trail circumnavigating it which meaures about 13 miles, including a stretch on the Pacific Crest Trail. Unlike most area hikes, it is relatively flat. Last year, in a brilliant move, as I recovered from back surgery, I completed the loop. 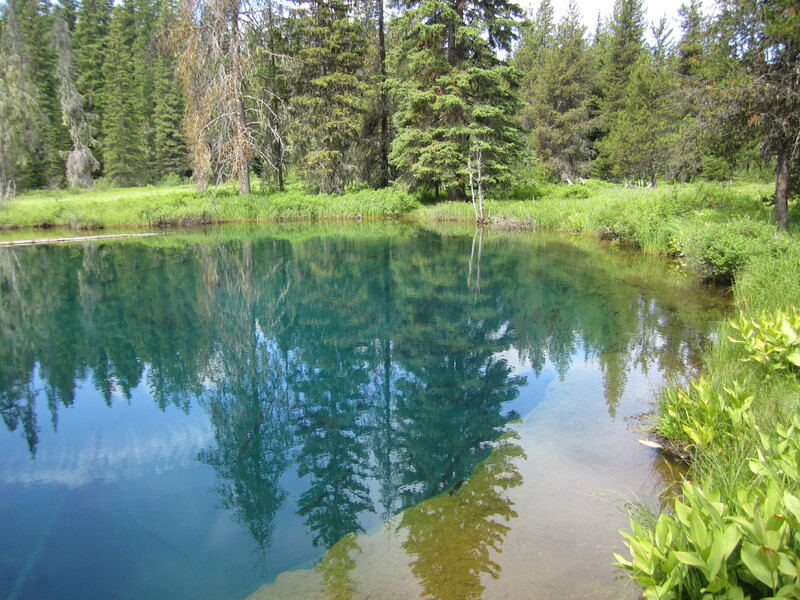 I started and ended my hike with the spur trail to and from Little Crater Lake, an tiny lake formed of artesian water from an unusual rift in the bedrock. 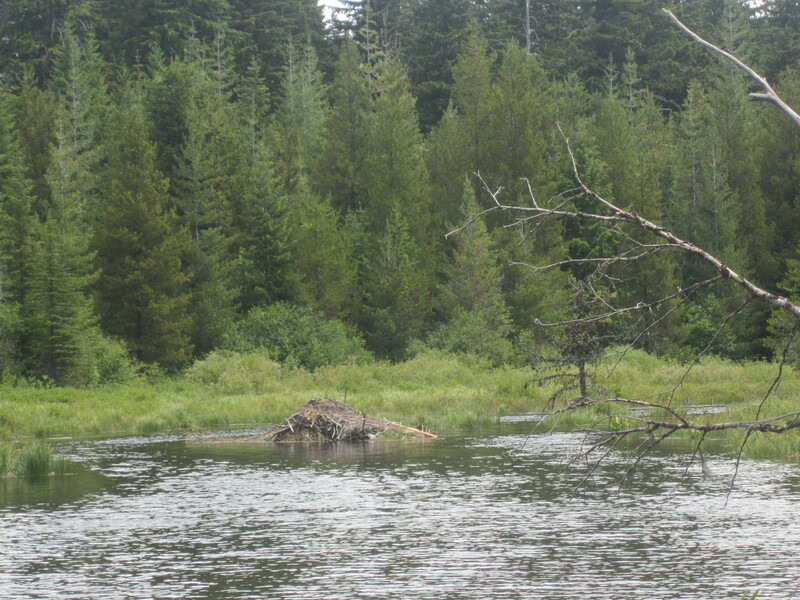 My favorite spot on the Lake loop may be the area around an inlet stream on the southeast corner of Timothy Lake, where there is an open rocky area with views and a stream where otters played like they meant it. There are other lovely spots, like the marshy area with a beaver lodge, or the pleasant woods of Meditation Point along the northwest side of the lake. 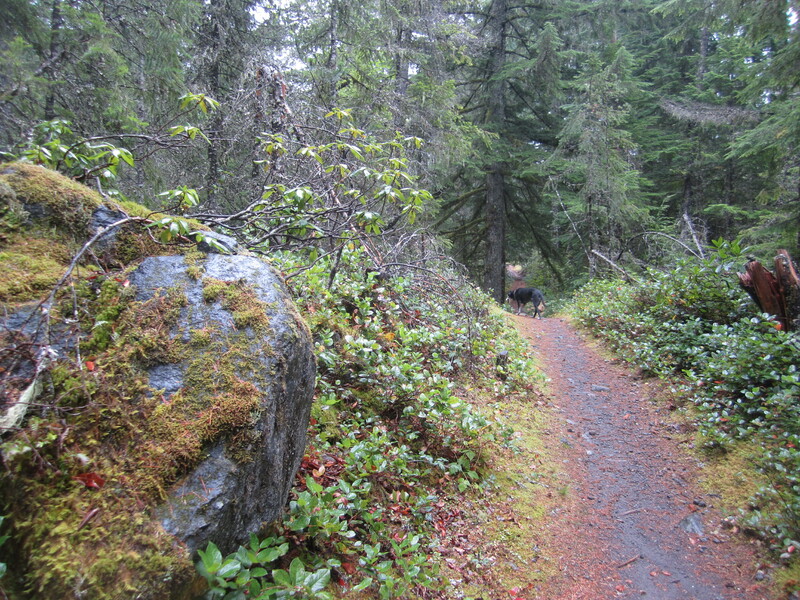 Most of the trail is uncrowded besides the few miles that travel near a few campgrounds along the south shore. 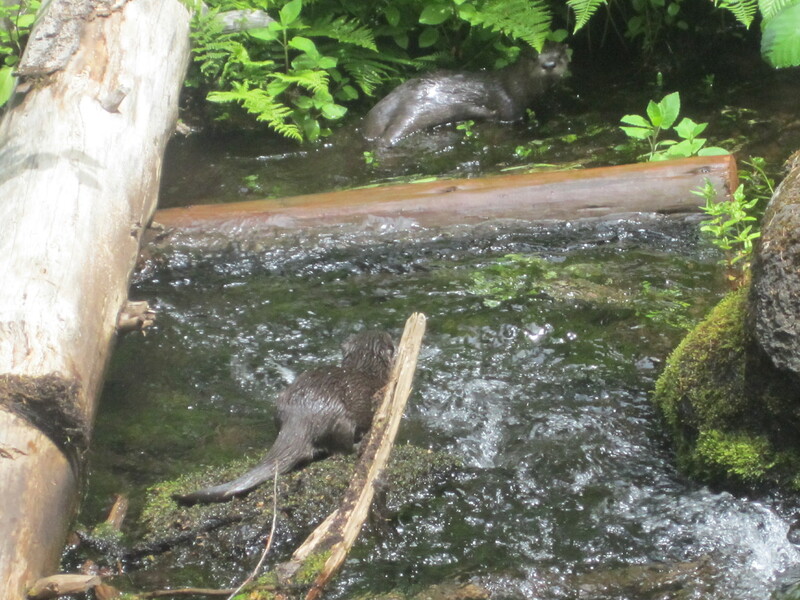 Otters scamping about right below a footbridge. Even that section is pleasant, for it has the best views of Mount Hood, and there is usually the exuberance of children in the air. 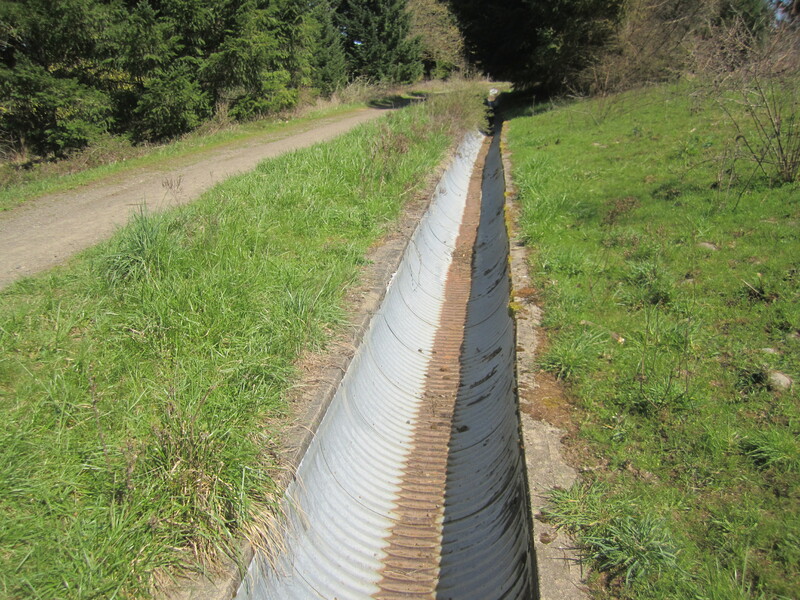 Then the trail crosses a dam and it heads back to the north and east. It is a dark forest and I cranked out the miles for the most part as I headed back towards Little Crater Lake. The pure waters of Little Crater lake. The PCT is in the trees beyond. 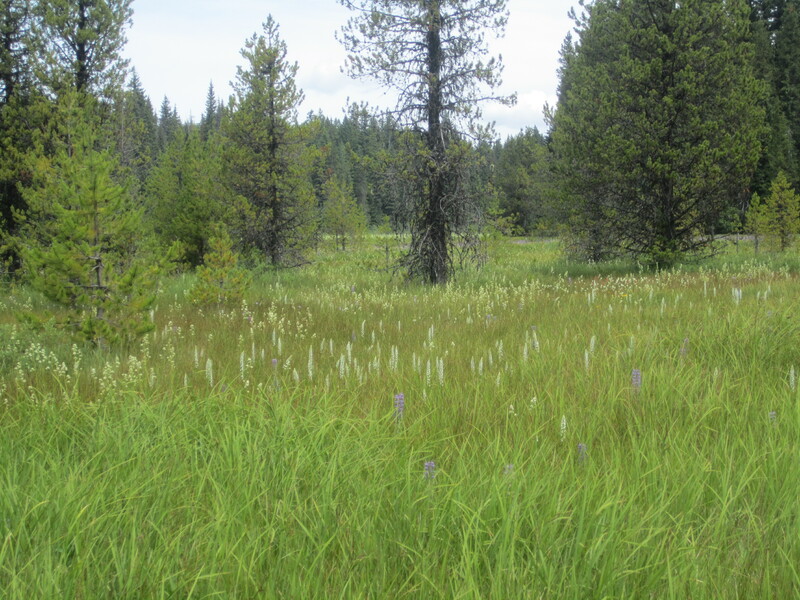 I was happy to see the PCT trail junction, and soon thereafter, the meadow around the smaller lake. I hiked almost 14 miles in about 5 hours, and I was pleased with that. Today, I smile at the memory triggered, and I think about paying another visit to the area. It occurs to me that it could be an outstanding cross country ski loop, but road access could be an issue. Of course there are many places to hike, and I want to visit them all. 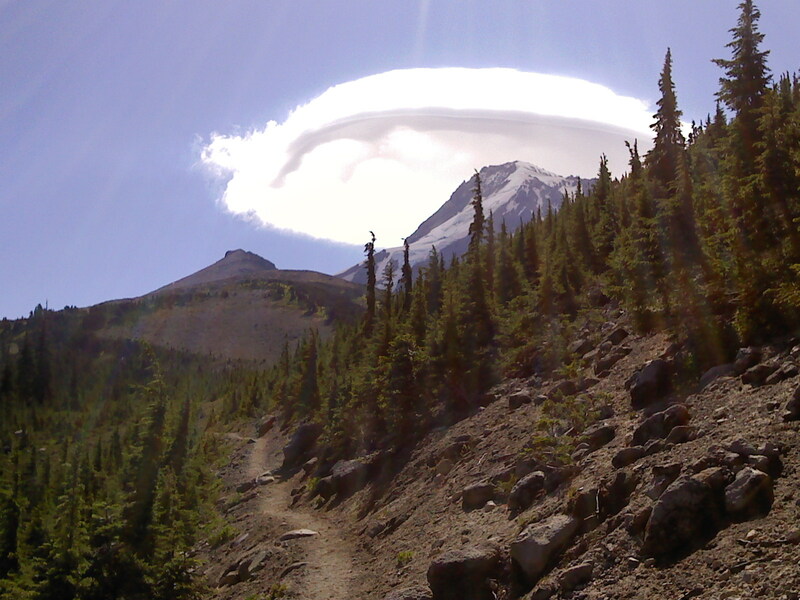 A lenticular cloud hung over the mountain for hours. Nearing Wy’east Basin. The weather has finally turned and western Oregon is back to sanity weatherwise. Not that I minded three months with less than half an inch of rain. The next nine months will more than counter that drought, I have no doubt. At the same time, life seems to get ever more hectic between teaching and firefighting and sickness, and I haven’t found the time to go for a real hike lately. It seems a good time to reflect on a favorite hike from recent years. A couple years ago, I ventured up the north side of Mount Hood to Barrett Spur, a prominent shoulder visible from Portland. I had been to the foot of the spur multiple times coming via the Top Spur and Timberline Trails. That was a great hike, but a long one if I didn’t get an early start (living close to trailheads, I am slow moving at times). At any rate, I didn’t have enough daylight to get as far up the mountain as I wanted. Looking back the way I came as I leave the official trail. Mt. Adams on the horizon. 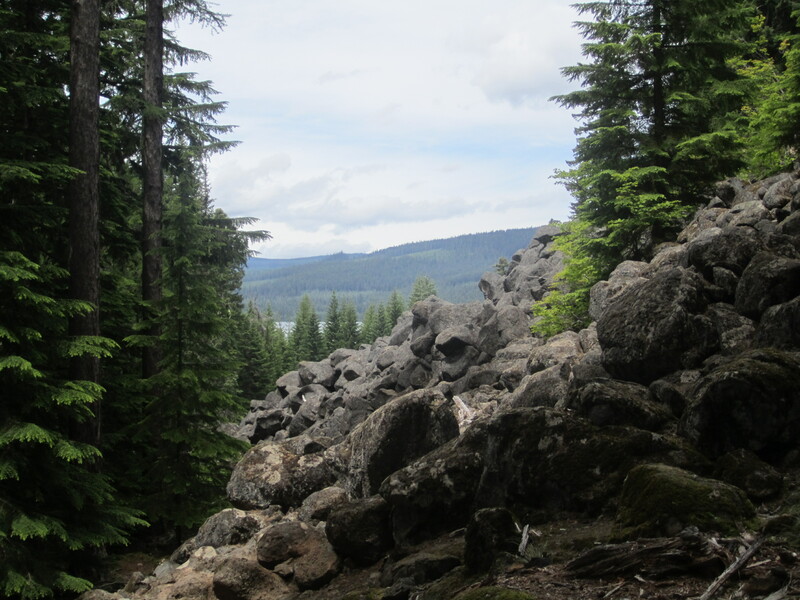 This time, I drove over the top of Lolo Pass and headed for the Vista Ridge Trail. The approach is longer, but the trail is shorter. The road gained a lot of elevation for me, and I had an easy hour-long hike to treeline. The north side of the mountain is stunning, all verdant tree-dotted meadows, glacial meltwater creeks (this route avoided any tricky crossings), all below steep glaciers and volcanic ridges luring one’s eye toward the summit of a great peak. Barrett Spur pokes up above the foreground ridges on the left side. One in the lush Wy’east Basin, I found a herd path alongside a creek and headed up it. The going was easy for a while. 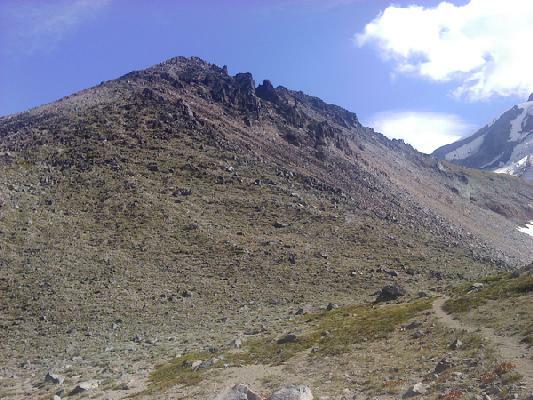 Some routefinding was involved as I headed up steep scree sections and crossed a couple snowfields. 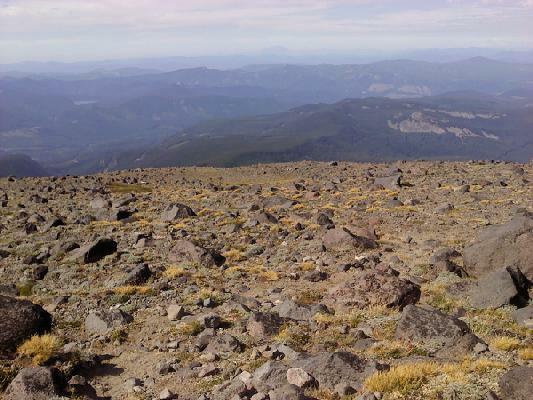 I slogged up the slope of the mountain until we were at least a thousand feet above treeline. The payoff was tremendous when I reached a saddle overlooking the Ladd Glacier on one side and the spur on the other. I scrambled through a stiff wind up the spur and reached a relatively flat but rocky ridgetop between glaciers. One word: spectacular. Desolation world. Approaching the notch at base of the spur proper. My route diagonalled up to the high point of the Spur on the near side of the little crags. The mountain seemed to be on top of me as I scrambled along the ridge. I wanted to go up, up, up, but I was not prepared for technical routes. 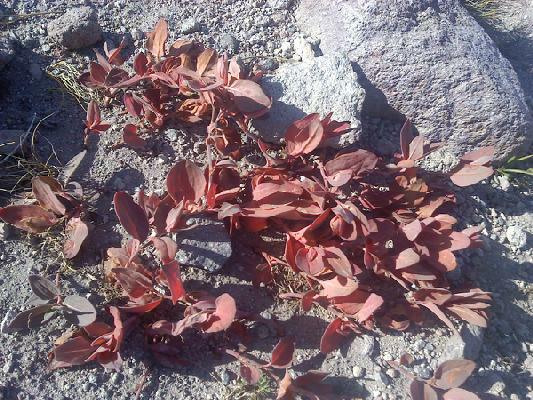 Only the hardiest of species survive above 7000 feet in the Cascades. When I climbed Cooper Spur this summer, Barrett Spur quickly came to mind. Barrett Spur is a bit more of an adventure, which lifts it higher in my favorites list. Thousands of acres in the area were scarred in 2011 by the Dollar Lake Fire. It could be fascinating to contrast my memories and photos with the current look of the landscape. One day, I will venture back, and I would recommend a trip there to anyone else looking for a modest adventure.